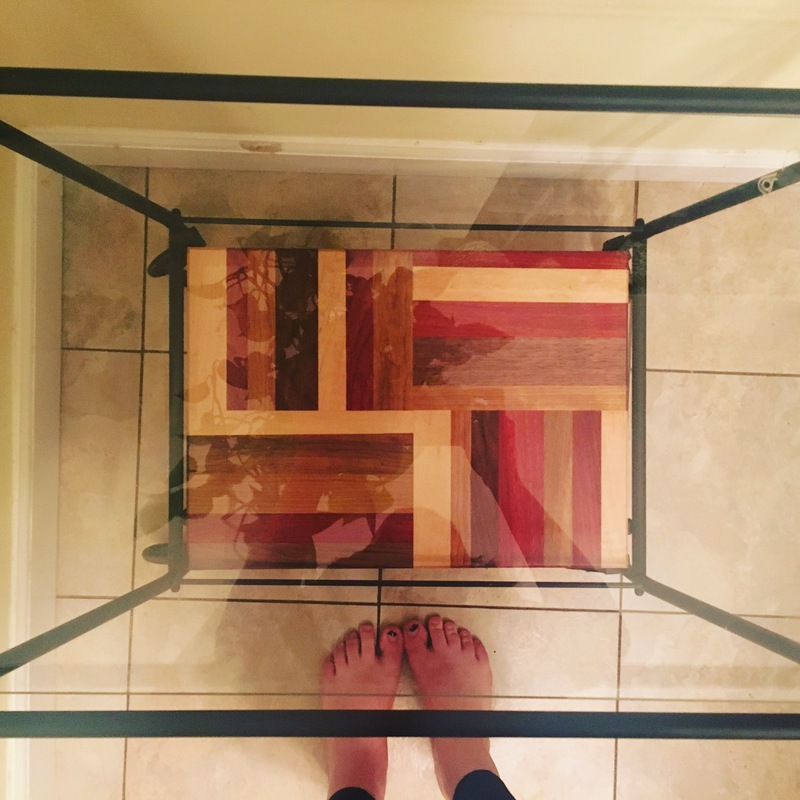 Bringing new life to old furniture is one of my favorite things to do. This passion definitely stems from my parents and my childhood. My dad and I weren’t above picking up things off the side of the road and reworking them. And I have fond memories of going to auctions, garage sales, and of course flea markets with my mom. In my apartment right now we have a TV console, dresser, and coffee table that I fixed up. But without a lot of space for more furniture, it’s been awhile since I’ve tackled a project. 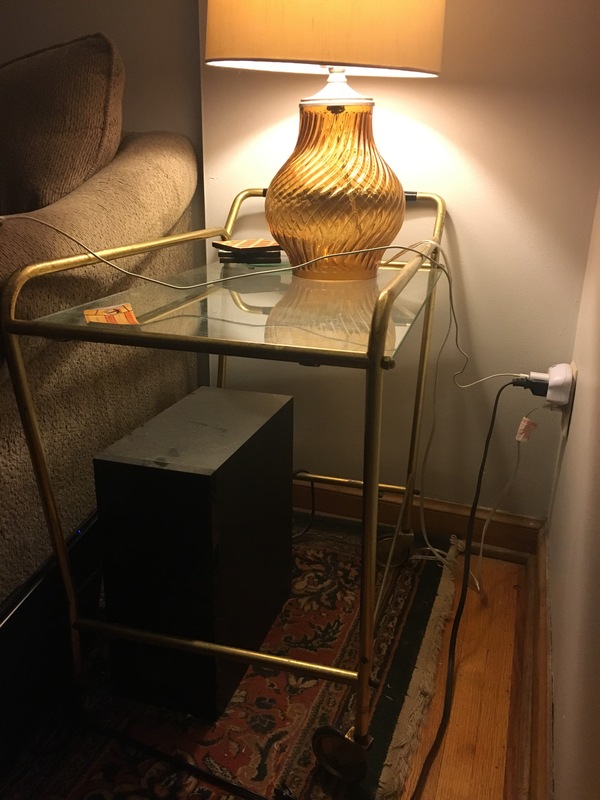 When my friend moved to a new apartment and started looking for a bar cart, I was inspired to rework the tired, outdated cart that I’d been using as a side table. 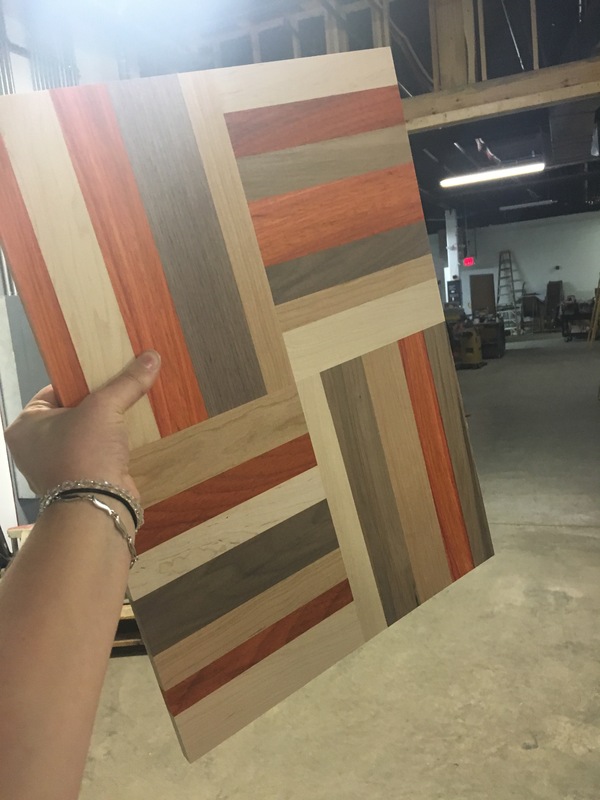 So, I decided to play in Alex’s scrap wood pile and pull out an eclectic mix of walnut, oak, and padauk then build a random pattern. Using a table saw, wood planer, drum sander, some clamps, and wood glue, I created a new shelf to replace the one I lost. Alex helped me add a routed edge design and then finish with a gloss. I also sanded down the old metal frame and painted it a flat black. I had no idea that this little change would make the piece look so much better. We worked on this sporadically, so I never finished it in time for my friend to use for her apartment… go figure! I also have no idea how to ship it… So I can’t send it to a friend in NYC who wants to buy it. Right now it’s sitting in my basement. Such a shame! I might post on Craigslist soon, but it’s also hard to part with. 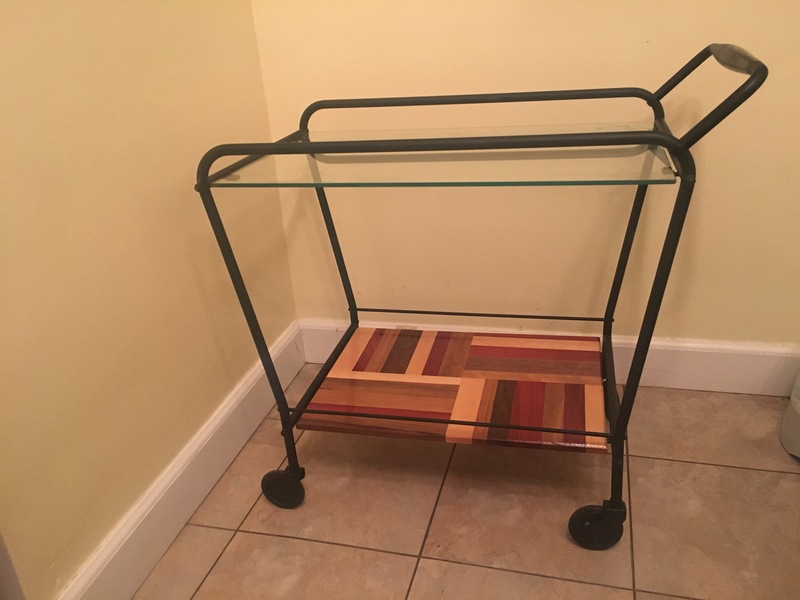 I love its story, but have no use for a bar cart.